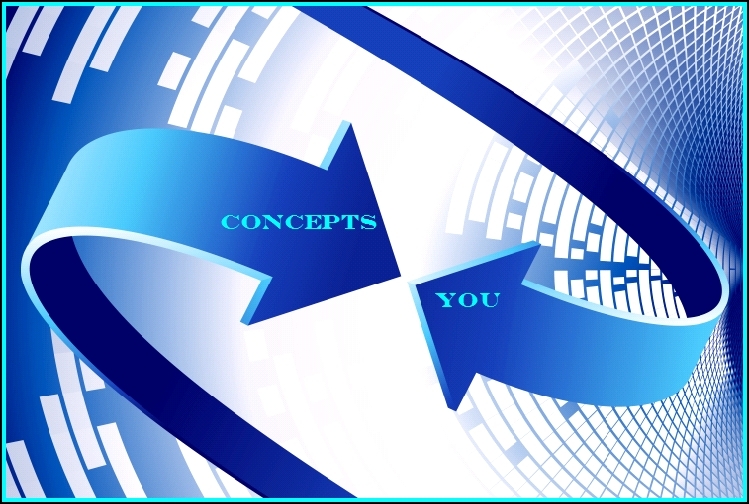 Applying the Concepts | What is the Meaning & Purpose of Life? Elements which help lead to self-actualization are listed below, and are also the categories by which ALL postings on this web-log are classified. Therefore, anyone wishing to focus on a particular element can readily access the associated content by clicking on the hyper-linked element below. Accomplishing Objectives — It is far easier to attain lofty goals by outlining clearly defined and measurable objectives. Start with those that are easy and build momentum as you proceed and really FEEL the sense of accomplishment growing from within. 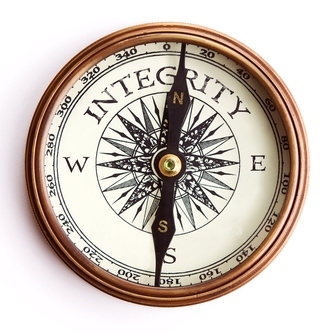 Acting With Integrity — This is perhaps the most important element, for failure in this regard will eventually undermine everything else — and speaking the truth is not enough . . . for as the saying goes: “actions always speak louder than words”. It is an imperative to cultivate and live in the world of reality with those you interact with — and those who stray from this fundamental MUST be exposed for what they are, otherwise they will surreptitiously grow in influence and effectively “contaminate” others. 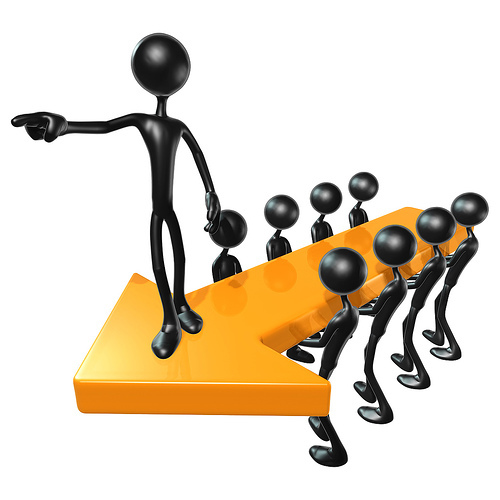 Being a Leader — Assuming responsibility on behalf of, and in the interest of others. This involves instigating change, leading by example, and leveraging your capabilities by cultivating an esprit de corp to “make things happen” — this also includes summoning the courage to make tough decisions, even if unpopular at the time. Being Kind — Acts of kindness, no matter how small, can potentially have a powerful effect on others, because they tend to beget other acts of kindness, which are typically paid forward to others in ways you could never imagine. And from a parochial standpoint, there’s another benefit to being kind to others — for those you meet on the way up, you will likely meet again on your way down. Believing In Yourself — It’s not enough to get inspired and have lofty dreams . . . you’ve got to believe in yourself and with conviction that you WILL achieve them, and you will not allow anyone or anything to interfere with what you KNOW is your destiny. Careful Planning –While it is said that “people make plans and God laughs”, when embarking on your life’s journey to realize the zenith of your abilities, you will be well served to carefully plan your sojourn. While your plans will change often, they will nevertheless serve as an invaluable compass keeping you on the right path. Communicate — Never assume others know what you’re thinking, particularly when you hold fond thoughts of them, or harbor dreams worth sharing Go ahead and tell them about it. And if there are things you’d like to see changed, let others know this — for you just might cultivate something meaningful. Embrace Change — Many fear change, for with it comes uncertainty; however this only debilitates such things as advancement, betterment and self-improvement, so free yourself from such a self-imposed limitation. 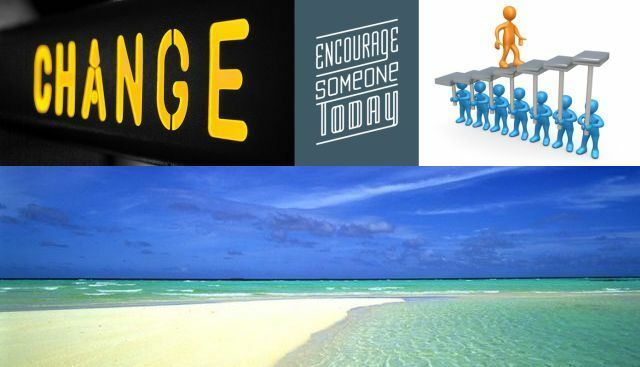 Encouraging Others — Nothing fans the fire for spectacular achievement like encouragement, and this can become quite contagious and grow exponentially in like-minded groups. And the right words at the right time can cultivate miracles from even those who are deeply discouraged. Engaging Support — At some point in your journey toward self-actualization, you may feel you’ve done everything possible to improve a situation or achieve a specific goal, yet you just can’t seem to “get there” — or you may encounter a devastating setback. In those situations, the only thing you may need in order to get back on track is moral support from others. For in achieving your dreams, sometimes you just need someone to believe in you — seek out and find those people. Find Tranquility — One’s wisest thoughts naturally manifest from a calm, peaceful mind, which is a state of being that can be especially elusive when subjected to trials, tribulations or otherwise emotion-laden circumstances. However, it is at those times when we would most benefit from sagacious introspection. So, even during those times when it seems all hell is breaking loose around you, make a conscious effort to find tranquility – be it through meditation, exercise, taking a walk or perhaps just going to a different room. Forgiving Others — Pay close attention here. You will invariably be confronted and/or betrayed by others in your life — and the sooner you are able forgive them, without condoning their transgressions, the better off you’ll be. For if you can’t forgive those who disappoint and wrong you, you’ll keep carrying that anger, and it will eat you up inside, and likely side track you from what’s important. This is a mindset though, and an important distinction needs to be drawn — because this does NOT mean your transgressors avoid the consequences of their actions — for then you’ll be perceived as a sucker and a “whipping boy(or girl)”, and the transgressions will certainly not end. Instead, expose those who wronged you and give them an opportunity for contrition, and to make amends — If they are unwilling to do so, THEN “lower the boom”, but do so in a fair manner, and ideally without the investment of emotion . . . for you have already forgiven them, remember? Note: this may also be the most difficult element to put into practice, and while it may viscerally appear contradictory, it most definitely is NOT. Forgiving Yourself — Many go through life carrying an ever-increasing load of emotional baggage, which weighs them down and holds them back from realizing what they are capable of. Accept criticism and set-backs, but don’t let this weigh you down by additionally beating yourself up about it — rather forgive yourself, learn from your mistakes, maintain your focus on what’s important and on coming out of the experience stronger than ever. Getting Inspired — Gaining inspiration from within or from others and developing what many believe is the secret to ALL success . . . infectious enthusiasm — for you MUST be inspired to discover and develop the best in you. Helping Others In Need — being there for others in need is an enriching element of self-actualization and the happiness derived is unmatched. Moreover, the true magic in helping others in need is how contagious those gestures then become. Knowing The “Why?” — You should know the underlying reason behind everything you do and all that you endeavor on and pursue in life. And it’s helpful to ask yourself things like: “Why am I doing this?” or “Why is this important to me?” And be honest with yourself — for the introspective answers will confirm whether or not you are on the path to happiness, and will help instigate the changes necessary to ensure you are. Knowing Yourself — Being candidly introspective while taking stock of your skills in the context of strengths and weaknesses, and willing to venture outside of your “comfort zone” to discover latent unknown abilities. This means identifying capabilities you think you may have, if given the opportunity to develop them, while remaining realistic about your limitations — and knowing the difference between the two, which comes only by truly knowing yourself. Laughing Often — Make a conscious effort to embrace comedy by actively seeking it out and making it an integral part of your life — it’s not going to just show up at your door like a court jester ready to perform for the king. Laughing is remarkably therapeutic and helps keep things in perspective. Spend time with those who have a sense of humor and avoid the drama queens who do not. Living In The Moment — You may find yourself reflecting on an experience in the past that gets you down, or you may have misgivings about an upcoming event that preoccupies your thoughts. When this occurs, it can detract from the moment you are in at that point. Don’t allow this to happen . . . for it can ruin that moment and any opportunities that may present themselves may otherwise pass you by — because your preoccupation with the past or the future will make you oblivious to what’s happening NOW. Yesterday is history . . . tomorrow’s a mystery . . . today is REAL. Loving Others — It is often said the more love you give, the more you receive in return — and any success you may realize will surely be empty if there is no one to share it with. As social creatures, human beings need to love, and be loved by others, so it is important to look for the good in others, and love them for who they are . . . for the reciprocity will eventually be returned in multiples. Managing Fear — Fear can be a debilitating emotion that is the silent killer of dreams and if it is not confronted and managed well, it will keep you far, far away from self-actualization. Few endeavors can be undertaken with an absence of fear, so it is important to manage one’s fears and effectively triumph over them in order to taste the sweet nectar of victory and meaningful accomplishment. Never Giving Up — There’s no lack of people who will tell you that you can’t do something, or remind you of how difficult something may be — no matter what it is you’re trying to do. Fight discouragement as though your life depended on it — for it may — because when you get discouraged NOTHING works in your favor, and you can end up losing everything. So as the saying goes . . . make lemonade when life hands you lemons. Overcoming Loss — Loss may come in various forms throughout one’s life — a lost love, the end of a long friendship, a dramatic change in one’s environment, a significant setback, or worst of all, the untimely passing of a loved one. The solace of others can be especially helpful during such times, however, if you find yourself sad and alone, something as simple as looking to the majestic sky can do wonders in bringing back fond memories to keep you company . . . I kid you not, so go ahead and try it. Overcoming Obstacles — It seems as though the significance of whatever endeavor one undertakes is directly proportional to the number of challenging obstacles one must overcome to succeed. Perhaps this is just an efficient means of separating the heroes and heroines from the wannabes and also-rans, or maybe it’s just the right elixir necessary to bring out very best in someone — in other words . . . self-actualize. Few have achieved greatness, without having to overcome substantial obstacles along the way, so keep this in mind during your darkest moments. Picking Your Battles — This sage advice has long been passed down for generations; however, you can find yourself falling into a trap of participating in disputes you feel compelled to engage in based on your principles, and what you know to be “right”. Nevertheless, if you are not consciously selective, you can end up accomplishing little, or worse, get sucked into a petty disagreement that transmogrifies into an entirely counterproductive altercation. Keep in mind, “battles” require energy, and if you spread yourself too thin, you’ll just end up sapping yourself of energy that would be better utilized in more worthwhile pursuits. Protecting Your Reputation — Some transgressions perpetrated by others against you will be an affront to your reputation. In such instances, you must aggressively stand up for yourself (do NOT rely on others to do this for you) and vehemently defend your reputation — for once sullied, it can be difficult to restore. And while doing so may appear like trying to un-ring a bell, it CAN MOST CERTAINLY be done, as long as you have truth on your side. And if you have been wrongfully disrespected, fight back and call out those responsible — for you have the RIGHT to be treated with respect — because if you don’t stand up for yourself, then you have WILLINGLY given up that oh-so-very-important right. Recognizing Problems — In whatever pursuit undertaken, you will be confronted with problems, and perhaps the most important element of problem-resolution is “recognition” because quite frankly, it’s impossible to solve a problem you don’t know exists. This doesn’t mean you look for problems (because the Law of Attraction will certainly manifest them for you), but rather be observant of perceived trends that portend ominous signs, and correct them sooner rather than later — for the longer an unresolved problem exists, the larger and more problematic it will become over time. Standard of Excellence — In ALL that you pursue, hold yourself to a standard of excellence that you know makes your efforts stand out, but be careful not to seek “perfection”, for such a standard will hold you back — “done is better than perfect“. Staying Focused — Setting clear goals that remain foremost in your mind and frequently reviewing progress along the way. This involves making adjustments to stay on track with your primary objectives — hence, your game plan will be “dynamic” in nature, as it will be modified over time in response to the events and conditions that unfold. In other words, plans seldom work out as originally contemplated — and for dynamic plans to succeed, you must remain focused on constantly refining them. Team Building — Successfully undertaking daunting challenges and prevailing effortlessly by surrounding yourself with people who possess skills complementary to yours, brave enough to present opposing viewpoints and demonstratively loyal to the cause and to each other — you can’t accomplish anything meaningful and in large scale, without the assistance of others, and the teams you build (and are a part of) will ultimately determine your success. Thinking Positive & BIG — Pushing out on self-imposed barriers in the face of naysayers and embracing the “Realm of Possibility” to meaningfully change what you don’t like in this world, and preferably do so in large scale. This is accomplished by thinking “outside the box” (i.e., in an unconventional manner), feeling positive about everything you do and dreaming BIG dreams. Unconventional Means — Throughout history, mankind’s plight has been overcoming oppression by others, thus sparking the chronic wars humanity has always had to endure through the ages. Conventionality and Darwinism have generally been reliable elements in predicting the outcome of conflicts — for the victor has empirically been the bigger, stronger opponent. But not always — for there are plenty of instances where the smaller, weaker (but smarter) opponent employed unconventional means to prevail, a manifestation which dates back to biblical times — for instance when young David felled the mighty Golaith with but a stone. So if you find yourself as the underdog in a conflict, employ unconventional means to be the victor. Great post. I was checking constantly this blog and I am quite impressed! Very helpful information particularly the last part. I care for such information much. I was seeking this certain info for a very long time. Thank you and good luck. You are truly a just right webmaster. The site loading pace is incredible. It kind of feels that you’re doing any distinctive trick. Furthermore, The contents are masterwork. you have performed a excellent task in this topic! Greetings from Idaho! I’m bored at work so I decided to browse your site on my iphone during lunch break. I love the info you present here and can’t wait to take a look when I get home. I’m surprised at how fast your blog loaded on my mobile .. I’m not even using WIFI, just 3G .. Anyways, excellent blog! We absolutely love your blog and find nearly all of your post’s to be just what I’m looking for. Would you offer guest writers to write content in your case? I wouldn’t mind producing a post or elaborating on a few of the subjects you write concerning here. Again, awesome weblog! I’m impressed, I must say. really seldom do I stumble upon a weblog thats both educational and entertaining, and let me let you know, youve hit the nail on the head. Your post is important; the matter is something that not many of us are speaking intelligently regarding. i’m extremely pleased that I stumbled across this in my explore for one thing relating to it. I’m still learning from you, but I’m improving myself. I certainly love reading everything that is written on your website.Keep the stories coming. I loved it! Thanks for the useful article. I found it really useful, keep up the great work! You really make it appear so easy with your presentation however I in finding this topic to be really something which I feel I would never understand. It seems too complicated and very vast for me. I am looking forward in your next submit, I will attempt to get the cling of it! I would like to express my thanks to this writer for rescuing me from this particular condition. After surfing throughout the internet and seeing notions that were not beneficial, I believed my life was over. Living devoid of the answers to the issues you have fixed by way of the guide is a crucial case, as well as ones that might have in a wrong way damaged my entire career if I had not encountered your web blog. Your personal expertise and kindness in playing with all things was useful. I don’t know what I would’ve done if I had not discovered such a thing like this. I can at this point look ahead to my future. Thanks a lot so much for the skilled and effective help. I will not be reluctant to suggest the blog to anybody who would need guide on this subject. If a new article is posted or if any changes occur on this site I’m interested. After looking into a few of the blog posts on your site, I really appreciate your technique of writing a blog. I added it to my bookmark site list and will be checking back in the near future. Take a look at my web site too and tell me what you think. I seriously love your website.. Great colors & theme. Did you develop this amazing site yourself? Please reply back as I’m wanting to create my own site and would love to learn where you got this from or exactly what the theme is named. Thanks! Having read this I thought it was really informative. I appreciate you spending some time and energy to put this article together. I once again find myself personally spending way too much time both reading and leaving comments. But so what, it was still worthwhile! of the finest websites on the web. I most certainly will highly recommend this website! best blogs online. I am going to recommend this blog! Who wrote the quote about Leadership and responsibility? I want to use it in a paper and need to quote it correctly! Pingback: Dealing With Frustration | What is the Meaning & Purpose of Life?